I’ve been reading Walking with the Poor, by Bryant L. Myers. 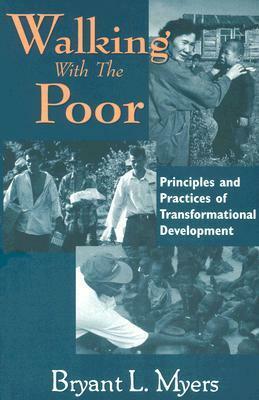 The book looks at principles and practices of transformational development. The book explores poverty, causes of poverty, and calls the church to action in engaging broken systems that cause poverty. “deficit, entanglement, lack of access to social power, powerlessness, and the lack of freedom to grow” (Myers 81). Poverty is a complicated issue that involves all areas of life — physical, personal, social, cultural, and spiritual. I live and work in a country where poverty is more visible than the suburban America where I lived before. I walk home from church and a single mother with children is asking me for money or food. I walk to church, I see a unkempt homeless man with a distorted and twisted foot sleeping on cardboard next to the barbershop. Walking home from class, I see people picking through the trash to recycle what can be salvaged. The building maintenance man lives on an annual salary of $6K a year, working 48 hours a week. The gospel is relevant to people such as these. But what difference does evangelism make in their life? Can it lift them out of their poverty? This is the question that Myers seeks to get at in this book. For example, he presents a simple chart about solutions to the cause of poverty (p.81). Certainly poverty has many causes and many possible cures. I’m simply wondering about the role of evangelism in transforming a culture, transforming a system. Certainly the gospel can transform an individual, but can that transformation seek to change the systems of poverty? 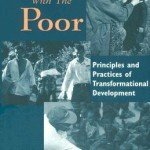 Order your copy of Walking with the Poor, by Bryant L. Myers. What role can evangelism play in reducing poverty? That’s a big question, but perhaps one we can discuss here.